As many Americans’ lives become more digital than ever before, identity theft has become a growing problem. According to the Washington Post, over 147 million consumers were affected by the recent Equifax credit reporting agency data breach. Credit monitoring and security companies like LifeLock are now commonplace. And while many forms of identity theft are now based online, other forms of identity theft still occur regularly. Earlier this month, a Joliet man was arrested for fraudulently using another person’s identity to obtain a $100,000 line of credit. These issues may leave a lot of people scared or uncertain about how they can protect themselves and their families. 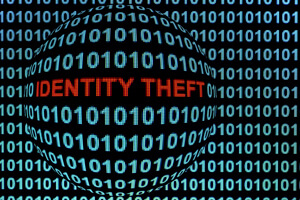 Thankfully, Illinois law already addresses several aspects of identity theft. Am I Protected from Identity Theft Under Illinois Law? Illinois criminal statutes already make several types of identity theft illegal. Under 720 ILCS 5/16-30, it is illegal to use any personal identifying information or documents from another person to falsely obtain goods, credit, money, services, or other property. This crime of identity theft becomes a more serious offense, “aggravated identity theft,” if the victim is disabled or over the age of 60. It is also illegal under this section to use another person’s identifying information to commit any other felony crimes. There are also other criminal offenses for actions taken in connection with identity theft. The same section of law mentioned above makes selling or purchasing personal identifying information, forging false identification or documents, or even using or selling the equipment used to forge false identification or documents illegal, if the person doing those things knows that the personal information will be used to commit a felony. 720 ILCS 5/16-31 makes it illegal for people to secretly capture, photograph, or transmit another person’s identifying information without their consent. 720 ILCS 5/16-32 also prohibits people with access to personal information at their job or workplace from mishandling that information in a way that knowingly facilitates identity theft. If My Identity Has Been Stolen, What Rights Do I Have? If you believe you are a victim of identity theft, you have several rights under Illinois law. First, 720 ILCS 5/16-35(a) guarantees that, if you report your identity theft to police, the police must investigate your report. The police must offer you a copy of your police report and must refer the matter to another appropriate law enforcement agency if they discover the offense took place outside their jurisdiction. You can also take steps to protect your reputation. 720 ILCS 5/16-35(b) states that, once the identity thief is charged with a crime in state court, you may petition the court to determine that you are innocent of any crimes committed fraudulently in your name. If the court finds that you are innocent, it can issue orders certifying your innocence and may also seal, delete, or label any related court records involving those offenses to show that your identity was used fraudulently. In addition, you may be able to recover for any debts taken out in your name, any money stolen, or property bought or sold as a part of the identity theft. 720 ILCS 5/16-33 may allow you to sue a person convicted of identity theft, facilitating identity theft, or aggravated identity theft who stole your identity. If you win, you can recover court costs, attorney’s fees, lost wages, and either the value of any actual damages you suffered or up to $2,000 in compensation. Other civil causes of action may also be available depending on how you were harmed and what information was stolen or used. Identity theft is, unfortunately, an unavoidable risk in the digital age. Thankfully, most people can take steps in advance to make sure that their information is secure. However, if someone has already stolen your identity, you may need to act fast to protect yourself, your family, and your assets. The attorneys at Tapella & Eberspacher LLC may be able to help you protect your rights, understand your legal options, and recover from any damages you may have suffered due to identity theft. Please give our offices a call.